These eight players fought hard all weekend and made it through to the elimination rounds. Let's get to know these players in a nutshell and have them tell us about their fantastic weekend! Hazoret the Fervent. It's great! 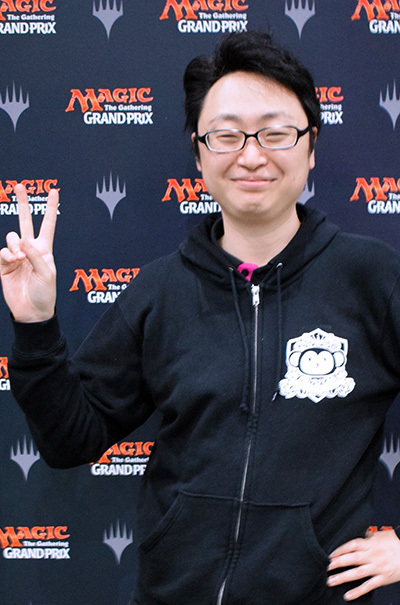 The best matchup for me is the mirror, especially in the Top 8 because I will be playing first. Ironically, I also feel like it is the worst matchup because the mirror can sometimes be a coin flip. Going 15 - 0 in the Swiss Rounds. Nicol Bolas, God-Pharaoh! Super, ultra, crazy cool! Temur Energy is my best matchup because I think I have a good sideboard plan (4 Vizier of Many Faces). My worst matchup is Ramunap Red. Turn-four Hazoret the Fervent is GG. Happy birthday to Azusa Nakano, my idol! 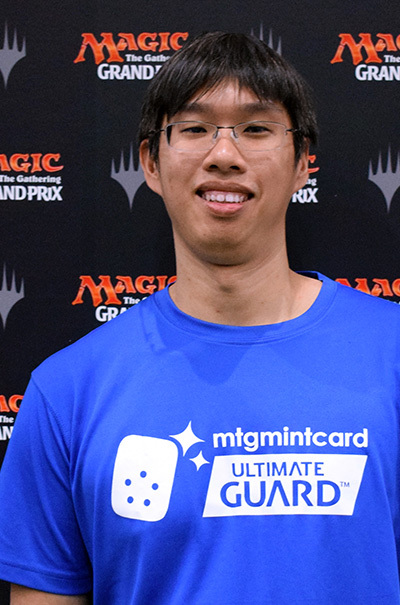 Previous Magic Accomplishments: Some China Nationals Top 8s, but most importantly I'm a Zendikar Champion too! I play 1 Negate and 1 Supreme Will in the main deck and the River's Rebuke in the sideboard helped me win three mirror matches. Temur Energy or 4-Color Energy are great matchups and I won all of them this weekend. Ramunap Red is my bad matchup because I sacrificed that matchup when I tuned this decklist. My teammate's company successfully got listed and we are getting a free dinner! Previous Magic Accomplishments: Money finish at a Grand Prix. 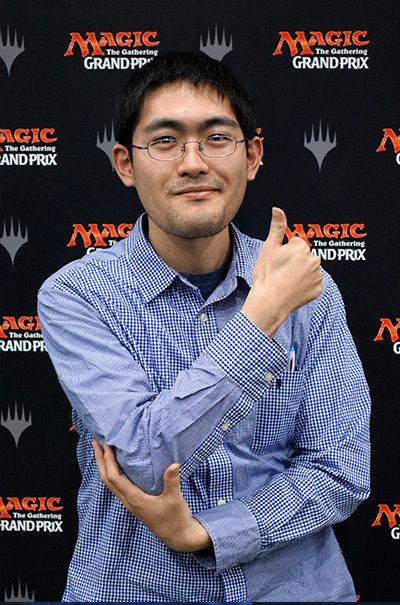 The secret tech is to play a Grand Prix during your birthday month and ask Yam Wing Chun for a Mono Red decklist. Sultan Energy, based on discussions with my local playtesting group, HBD. Making Top 8 with Yam Wing Chun, who is also part of HBD. 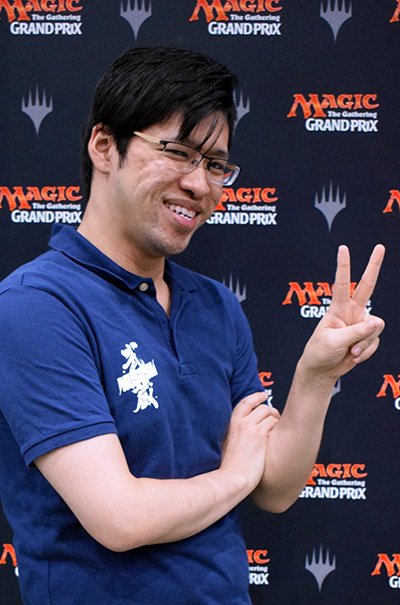 Previous Magic Accomplishments: Top 8 at Pro Tour Ixalan and two other Grand Prix Top 8s. Hazoret the Fervent. It is the backbone of Ramunap Red and it helped me gain a lot of success recently. 4-Color Energy or Sultai Energy. Traditional wisdom suggests that monocolored decks have an edge over multicolored decks. 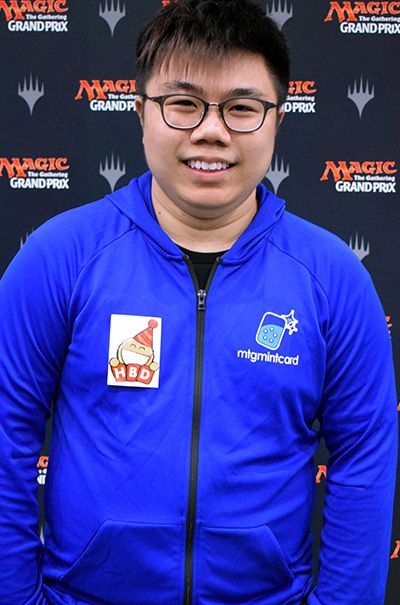 Making Top 8 together with Lee Wing Tat from my local playtesting group, HBD, and also with Team MTG Mint Card teammate Kelvin Chew. 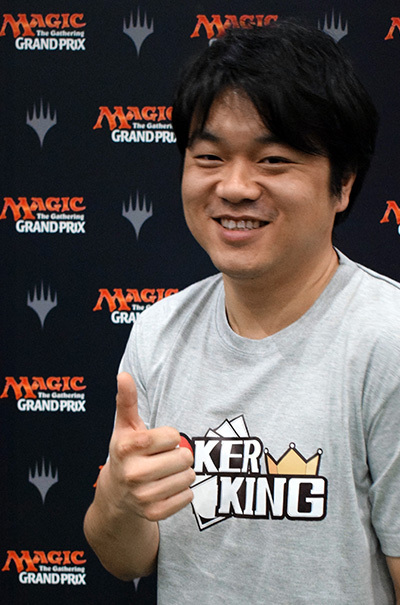 Previous Magic Accomplishments: Pro Tour Return to Ravnica Top 8, Top 4 at 2017 World Championships, and 4 other Grand Prix Top 8s. Vizier of Many Faces. It allows me to copy the best creature on the battlefield. Ramunap Red is my best matchup because Whirler Virtuoso is too good against them. White-Blue Approach is the worst because Game 1 is basically unwinnable. Lost Round 10 against Yam Wing Chun and then making the Top 8 together with him. Inventor's Goggles. It's such a good artifact for just one mana. Ramona Red is a good matchup because I have many tokens and I can block Hazoret forever. White-Blue Approach or any control deck is the worst because they have a lot of mass removal. Getting lost in Shanghai but eventually managing to find my way to the hotel. Thanks for Hekyle! Invigorated Rampage. It solves the problems of Ramunap Red and turns losses into wins. 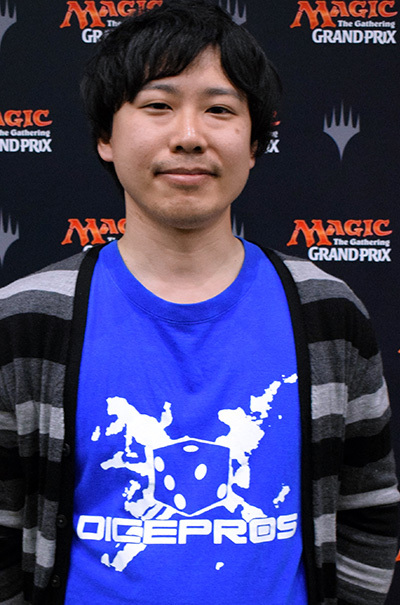 I feel confident against Temur Energy because I practiced the matchup a lot. As for my worst matchup, it's any deck with a lot of tokens. 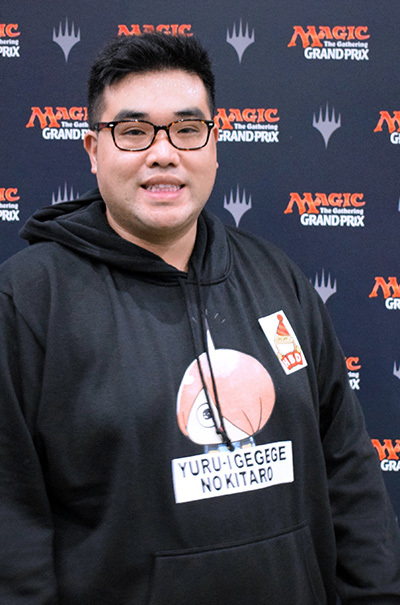 Making my first Grand Prix Top 8 and qualifying for my very first Pro Tour.